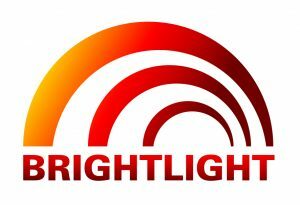 BRIGHTLIGHT is a collaboration involving university and hospital researchers from London, Manchester, Leeds, Birmingham, and Southampton, funded by the National Institute for Health Research and the National Cancer Research Institute’s Teenage and Young Adults Clinical Studies Group. Rachel Taylor, Senior Research Fellow for BRIGHTLIGHT on the Cancer Clinical Trials Unit, approached the UCLH innovation office to help with reporting to the funder. The office was also able to advise the research team about intellectual property and where copyright work was being generated, how the team could protect BRIGHTLIGHT and the hospital’s interests. New questionnaires that were developed to enable evaluation of how specialist services affect the success of treatment and how well young people return to normal life such as education or work after treatment. The office was able to advise on how to report this to the funder, and provided information about copyright statements. The materials are available online through the UCL’s XIP, express licensing portal, which allows the team and the innovation office to easily manage requests from other groups to use the materials. “Making the BRIGHTLIGHT Survey and related documents available through XIP portal has been invaluable for the research team. It is managed centrally so the team are not burdened with having to handle requests,” said Rachel Taylor, Senior Research Fellow.